I wanted to take the time to express my positive experience that I had with DLM Contracting, Inc. (DLM) and its principals, Brad Lewis and Charles Dearhamer. The Southridge Acres – Phase II project, located in Crosby, ND, was awarded to DLM Contracting, Inc. during the summer of 2013 for $1,478,352.00 on the basis of a lowest competitive bid process. Although this subdivision infrastructure project had a fairly small contract value, several factors created challenging conditions throughout the project. 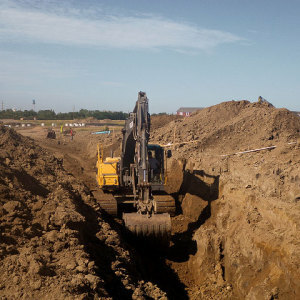 A large portion of the sewer pipe was performed in very deep (20’ to 25’) conditions compounded by the ever-present groundwater with saturated, clayey soils. Because of DLM’s quality workmanship and ‘can-do’ attitude, the project came in on time and on budget and was a success for the Owner and Engineer. Throughout the project, Brad and Chuck demonstrated a positive, professional attitude. Any unforeseen circumstances and necessary changes were quickly and ethically handled. In short, I would definitely recommend DLM Contracting, Inc. to potential clients looking for a quality and honest contractor, and I would welcome them back on any of my future projects. I have had the pleasure of working with DLM Contracting, Inc. (DLM) on the John Rian Addition phases 1, 2 and 3 located in Stanley North Dakota. 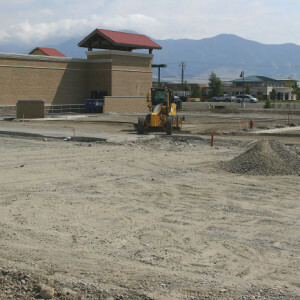 DLM of Bozeman, Montana was the Prime Contractor on all three phases of this subdivision which totaled over $4.5 million during the 2012 construction season. This included waterlines, sewer lines, manholes, excavation/embarkment and complete roadway construction for over 236 residential and commercial lots within a major subdivision. 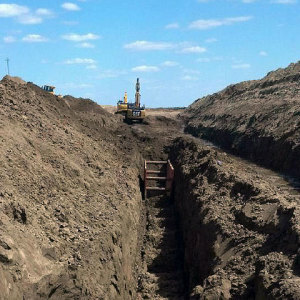 The project’s challenges included inclement weather conditions, frost, deep excavations (over 20 feet), ground water and day-to-day difficulties of working in the Bakken Oil Boom area. Developing in the Bakken area (and anywhere else) has the inherent risk of shoddy and unscrupulous contractors. Because I am headquartered in Bakersfield, California I needed a contractor that I could trust to plan, organize, and keep me informed of potential problems as the project commenced. I am pleased to have chosen DLM for this work. DLM’s principals Chuck Dearhamer and Brad Lewis were honest and dependable during all phases of construction from negotiating contract prices to satisfying the daily requests of the local city engineer. DLM also kept me closely informed of potential challenges, unforeseen changes and projected completion dates for the various phases. When I called with a question or concern, they were either available via cell phone or they would return my phone call within a few hours. If I had a special request I could count on them to see it through to fruition. DLM’s professionalism and commitment helped reduce the “hassels and headaches” that are present with any land development project. They take their responsibilities as though they were owners, not just contractors. Overall, I recommend DLM without any reservations. Chuck and Brad have built a reliable, skillful and conscientious company who would be a great team member for any future project and I would definitely enjoy working with them in the future. This letter is intended to introduce and recommend DLM Construction for future projects. 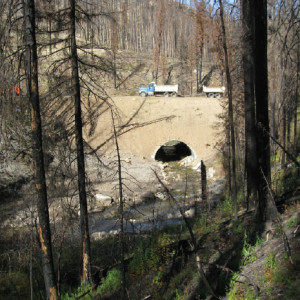 DLM completed a large and difficult culvert project located on the Payette National Forest in the fall of 2008. During the performance of this contract, DLM dealt with a major forest fire on and around the project site causing delays and worked with the public to keep the road open during an important local event. They were always reasonable to deal with and worked with the government in a professional and ethical manner. I would look forward to working with DLM on any projects in the future and fully recommend them. Hawkins Companies is an Idaho based retail developer with projects in 27 states. 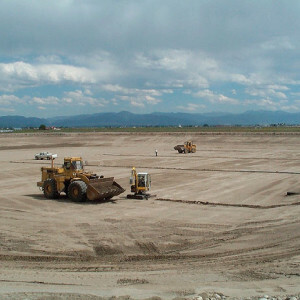 Our first development in Montana was a 22-acre project called Stoneridge Square in Bozeman. When out sitework bids came in over budget, our engineer recommended we contact a local contractor, DLM. Chuck and Brad, at DLM, worked with us to bring the project back within budget. Their value engineering recommendations regarding design, materials, equipment, scheduling/phasing, and subcontract negotiations helped bring this project in on time and under budget. Their professionalism and ‘can-do’ attitude was as high as I’ve seen in a contractor. The few change orders submitted were well documented and fair. When their crews saw the need to make small changes, they were taken care of in the field without an associated change order. I highly recommend DLM to owners, developers, engineers and planners. Making DLM part of the TEAM in the early stages of a project ensures the greatest potential of success for the site development. We have worked with DLM Contracting, Inc. over the last twelve months on the City of Bozeman Hyalite Transmission Main water supply project and are very satisfied with their work effort. The project is at or around 85% completion and we would like to comment on the work that has been completed to date. DLM Contracting has been very easy to work with in all aspects of the construction of this complicated, multitasked project. They were very responsive to the concerns of the engineer, owner and neighbors on the project. With their construction experience they have proposed numerous modifications to the project design, some accepted, others not, with an idea of improving the end produce, whether it was concerning the pipeline or buildings. 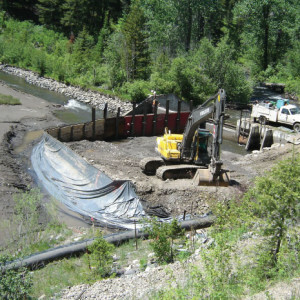 The project involved an extensive corrosion control system on the pipeline, five miles of 24-inch or 30-inch ductile iron pipe, two water control buildings, building an intake structure in Hyalite Creek using a coffer dam, and connecting to the existing water treatment plant. The pipeline was on private land or in subdivision, county right-of-way, or on government property requiring detailed coordination with the landowners. DLM Contracting was able to successfully coordinate with all entities and keep the City of Bozeman and MMI out of these daily discussions. 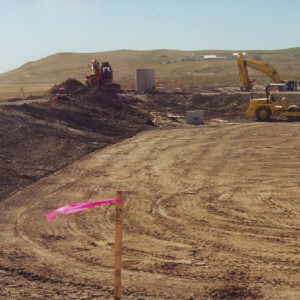 We would recommend DLM Contracting for any future City of Bozeman or other municipality water and wastewater construction projects or subdivision construction. The City of Belgrade has recently reconstructed its wastewater sewer lagoons, and out fall line. Mr. Chuck Dearhamer of DLM Contracting served as the general superintendent on the wastewater project. The project was completed successfully on schedule and within the project budget. I believe that a major reason for the success of the project was the supervision accorded the project by Mr. Dearhamer. DLM has just recently completed a 2.6 million dollar wastewater treatment facility for the RAE Water and Sewer District. They did a terrific job for us and I would highly recommend them for any type of water and sewer infrastructure project or dirt works. The project for RAE Water and Sewer included decommissioning and regrading three wastewater lagoons and constructing a state-of-the-art, waste water treatment facility. The elements included multiple sequencing batch reactor tanks, aerobic digersters, reed beds, ultra violet disinfection, infiltration galleries, and manhole replacement. 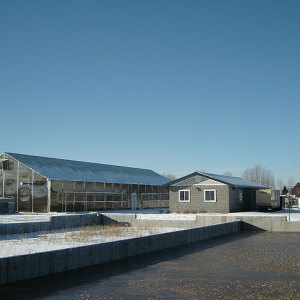 Two buildings and a greenhouse were also constructed as part of this project. DLM was the prime contractor and were responsible for the coordination of numerous subcontractors, permitting, and multiple phases of work. The project was funded through state and federal funding agencies, including CDBG (Community Development Block Grant), RUS (Rural Utility Services), TSEP (Treasure State Endowment Program), DNRC (Department of National Resources) and local funding from RAE. Because federal grant and load financing was involved, there was a high degree of regulatory oversight and reporting on this project. DLM was prompt and thorough and did an excellent job with the construction, paperwork, and reporting aspects of the job. What impressed me most about DLM’s work was their sincere desire to do a good job, satisfy the client, and make the final outcome a success. Their ‘can do’ attitude and strong work ethics were very refreshing and I was impressed with their planning and execution of complex job sequencing. The principals we dealt with were Brad Lewis and Chuck Dearhamer. Both are very experienced, knowledgeable and pleasant to work with. The project did run longer than was scheduled, but on this project, time was not as crucial as having a good product and being on budget. We would gladly hire them again. Stelling Engineers, Inc. would like to publicly commend DLM Contracting, Inc. for their outstanding performance on the Sweetgrass Wastewater Improvements project. Chuck Dearhamer and his crew completed a very difficult wastewater lagoon reconstruction for the District within the allotted time and under budget. DLM mobilized the necessary men and equipment to keep the project ahead of schedule. DLM was prompt with their submittals and easy to deal with on design changes and field corrections. The workmanship was accurate and of high quality. Chuck Dearhamer is a man of his word. When he says it can be done for the price he bid, it will be done. I would not hesitate to recommend DLM Contracting for similar public works projects. Mitchell N. Stelling, P.E., Stelling Engineers, Inc.
During this past construction season I had the opportunity to complete the [below named] project with DLM Contracting Inc., and Mr. Brad Lewis as Superintendent. 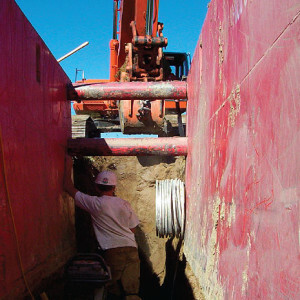 This project involved the construction of 1,470 linear feet of twelve-inch trucks sewer and five manholes with excavations that ranged from ten to over seventeen feet in depth. The project replaced an existing sewer so it required bypass pumping and the reconnection of live mains. I found DLM’s work to be accurate and of excellent quality. They finished the project on time and at less cost than budgeted. I found the entire crew to be capable and knowledgeable concerning the construction of the project. Both the City of Livingston and I would enjoy working with them again. Scott A. Nelson, P.E., President, Nelson Engineering & Assoc. Inc.